When it comes to paint schemes some people are naturals at putting colors together. I am not gifted in that area. I tend to play it safe. One sure way to choose your colors is to use color coordinated paint charts or look through magazines for the extraordinary colors combinations you are trying to achieve. For Interiors – I tell people to look at their carpet, their wood floors, any stonework or brick and pick colors that go with those more permanent things. You can pick up color brochures that have color combinations in them to go by. For Exteriors – ever drive by someone’s home and wonder what the heck they were thinking when they picked out those weirdo colors? Or you ask yourself are they colorblind? Again, the safest way to choose colors (exterior in this case) is to get exterior brochures from the paint store and choose a color or a color combination based on your home’s existing stonework, brick and other permanent parts of your home’s exterior. Mural Painting – here’s a cool color combination idea for your bedroom, game room or theater room ceiling. 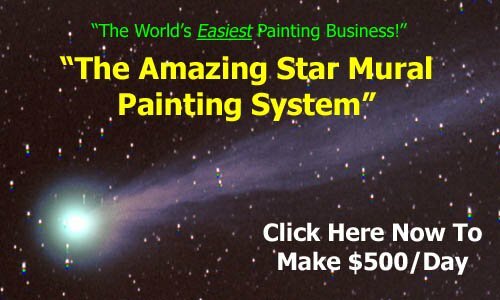 Its called “star mural” painting and you can use various colors that glow in the dark all night long. It makes your ceiling look like an awesome nighttime sky. You can add unicorns, fairies, angels and UFOs for even more fun. 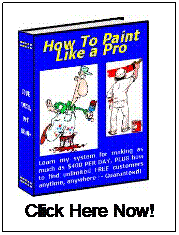 Did you find this information helpful about paint schemes? Thanks for visiting. Please click here for more info.